If you are dealing with a family law issue that needs to be resolved, you are probably feeling a great deal of stress and anxiety over the future. This is perfectly understandable, but to ensure the resolution of your matter is aligned with your goals, we encourage you to seek legal representation. Since 1988, the Law Offices of R. Morgan Holland, L.C. has assisted thousands of clients with various legal matters, including family law cases. No matter how minor or serious your case may seem, we will do everything possible to help you obtain the favorable case outcome you desire. Our family law attorney in San Luis Obispo is well-versed knowledge in all aspects of family law in California and can prove to be indispensable to your case. Your well-being and satisfaction are important to us. Let's work together to make sure your future is protected. 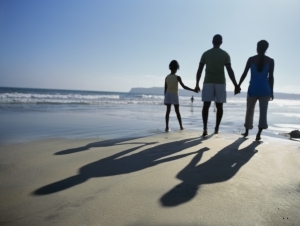 Our law firm's goal is to make all your family law legal proceedings as easy as possible. How do we do this? By providing high-caliber legal services that are client-focused and trustworthy. We exercise the highest level of confidentiality with all cases under our care. Because we recognize that each case is different, we aim to provide personalized strategies designed to fit the needs of our clients. This is the kind of dedicated service you can expect from us. Ready to move forward with your family law case? Get an estimate of the expected time frame and cost of your case during a free, in-person consultation. This will also allow us to establish a solid client-attorney relationship and open communication that is essential for successful results. For client-focused representation for your family law matter in Santa Maria or San Luis Obispo, please do not hesitate to call us.